Cloud communications, storage and mobility deliver highly personalised levels of care and with robust and reliable communications that you can scale to your needs and keep data safe and secure. There’s been a strong emphasis on data security in the recent year and – with strict GDPR regulations on data usage now in operation – cloud communication mean that only permitted persons have secure access to your data and that you can ensure that it is only being used as it should be. Cloud-based communications allow for streamlined processes that happen in real time and allow access to medical files from where and when it’s needed, rather than simply in the administration office. This means that qualified staff can make properly informed decisions about care without distraction or delay. Using the same technology, decisions on care can be shared out to family members or caregivers closing the loop in the care circle. We’re moving to a world where we’re able to order and pay for taxis with the tap of an app, stream films to our televisions – to our phones and buy anything under the sun with one click so we’re happy to adapt technology in our personal daily lives. 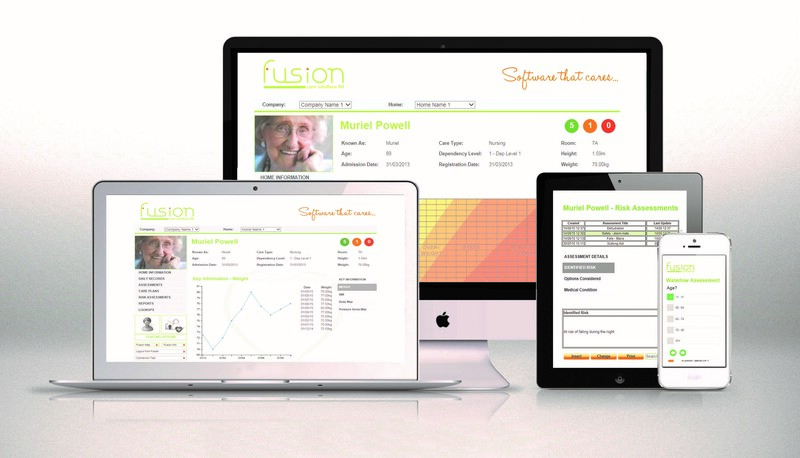 Isn’t it time to make better use of technology in the care sector? Couldn’t we combat the pressures of an ageing generation with all the benefits of technology and advancements? Isn’t that synergy? Doesn’t that make perfect sense?